Lake Ontario to the south, a beautiful Art Deco “Palace of Purification” to the north, free screening, free popcorn… what better way to say hello to Autumn 2018? 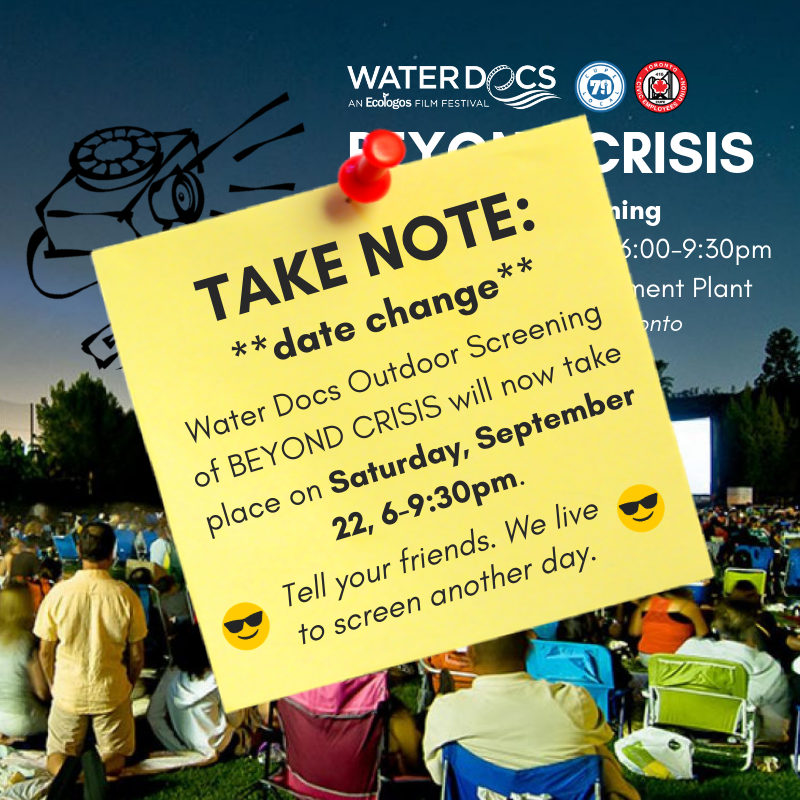 On Saturday, September 22, 6:00pm-9:30pm join us for a FREE outdoor screening of Beyond Crisis, a film that explores what it means to live in this new era of climate change and celebrates the stories of people around the world who are moving humanity forward. The film starts at dusk, with a chance to hear from local community groups beforehand. Afterwards, Kitchener filmmaker Kai Raimer-Watts will lead a discussion about what communities can do at the local level to advocate for a #SafeClimateFuture. Scroll down for event details and a trailer of the film. Green Energy Doors Open (GEDO) is an energy education campaign and annual showcase of individual, community and commercial sustainable energy projects. The initiative aims to showcase advancements in the sector and energy champions, demonstrating that Ontario is on the path to a 100% clean energy system. 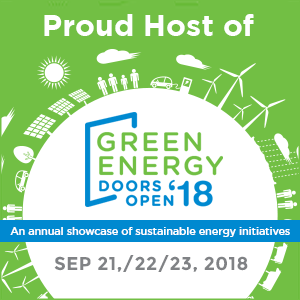 The 2018 Green Energy Doors Open showcase takes place this weekend (September 21 - 23) with events all across Ontario. We are so proud to host a Green Energy Doors open event this year. Please come and support our initiative and help spread the word today. We hope to see you out for #GEDO2018. Getting there: Take the 501 Queen Streetcar eastbound to the Neville Park loop (last stop). Walk south on Nursewood Road toward Lake Ontario. There is NO PARKING ON SITE and only very limited street parking. What to bring: Blankets or camp/lawn chairs, warm clothing, refreshments (NO plastic water bottles please). Popcorn will be provided. More info: Visit our Facebook Event Page. 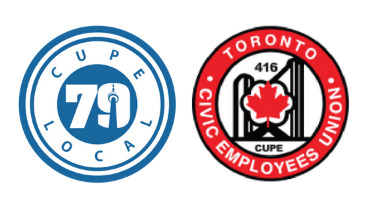 Ecologos and Water Docs warmly thank our co-presenters of this event for their generosity and enthusiastic support, CUPE locals 79 and 416, as well as all of our community partners. And to explore the link between climate change and water, read Emily’s blog. Do you have a film about water? Submit it on Film Freeway for consideration for the 8th Annual Water Docs Film Festival in March 2019. Submission deadlines are at the right. Have you created a feature or short documentary about water? An animation or music video? 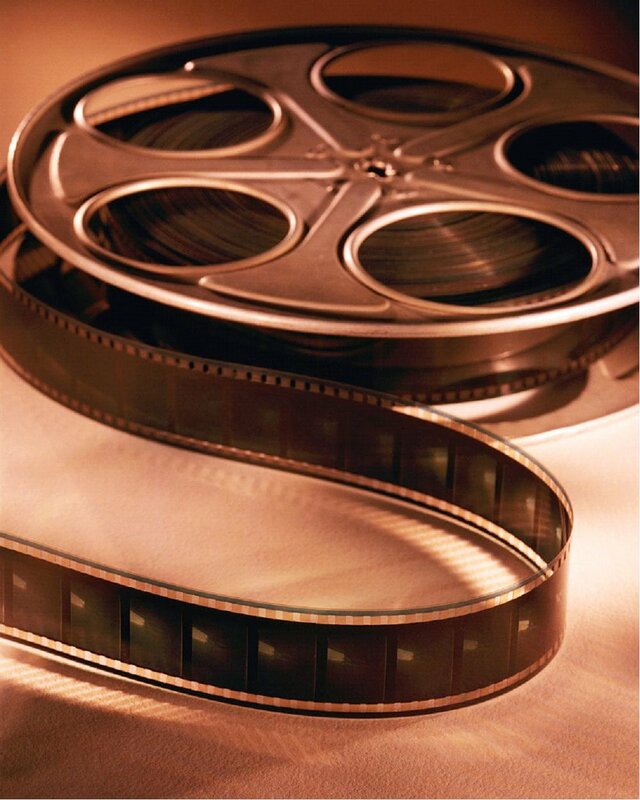 A narrative or experimental film? Is it short or long? We’re interested in all kinds of films that help our audience celebrate and understand water in all its aspects. This year we are running a competition for Best Film with a $2,000 CAD prize. So get your cameras ready and enter your films today. 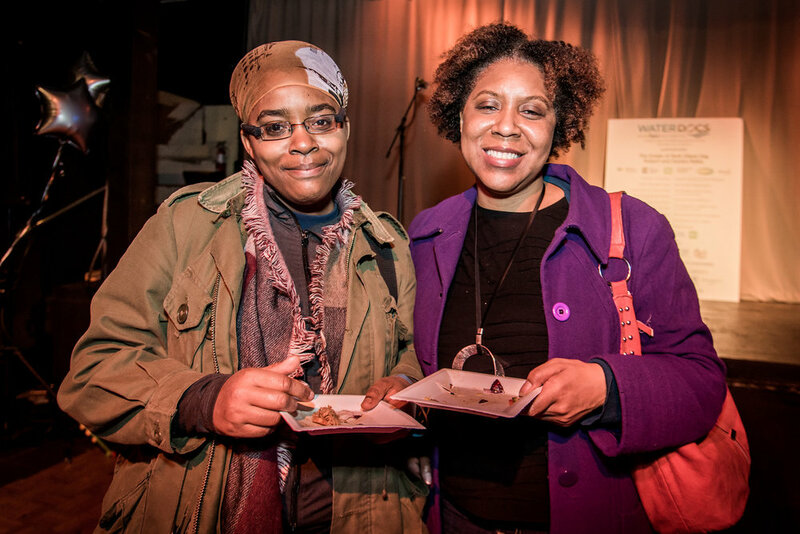 You can get a taste of this year’s Water Docs Film Festival in the photos and highlights reel below. Water Docs 2018 is a wrap! The Water Docs Film Festival shows outstanding films and exhibits on issues facing water systems and the people who live in them here and around the world. After each screening there were lively Q&A sessions with filmmakers, activists, artists, experts and other related speakers. Our community partners shared ways to get involved. The festival is the joint effort of many great volunteers, partners, donors and supporters. Thanks to everyone who attended and to everyone who helped make it happen! 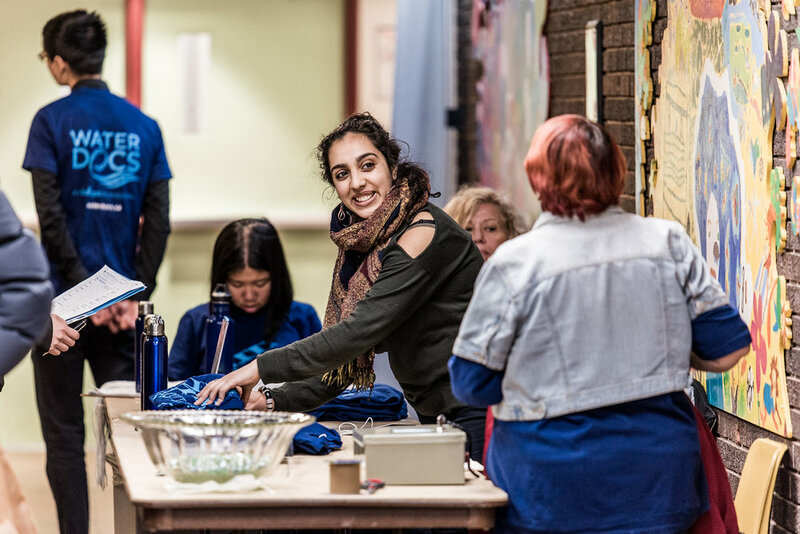 Click here if you are interested in volunteering to help plan our work and next year's festival! 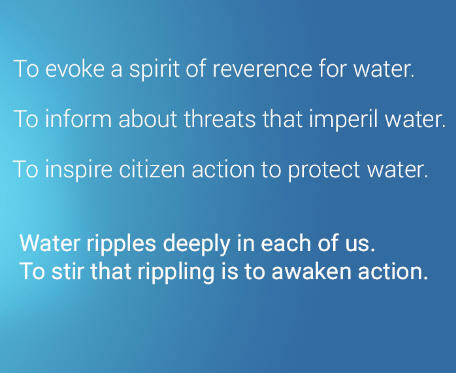 If you missed the free World Water Day Celebration on March 22, click for a sample of what fracking is all about and how bad it is for our water systems. And consider holding a Water Docs Where-You-Live event in your community, with a film and discussion. 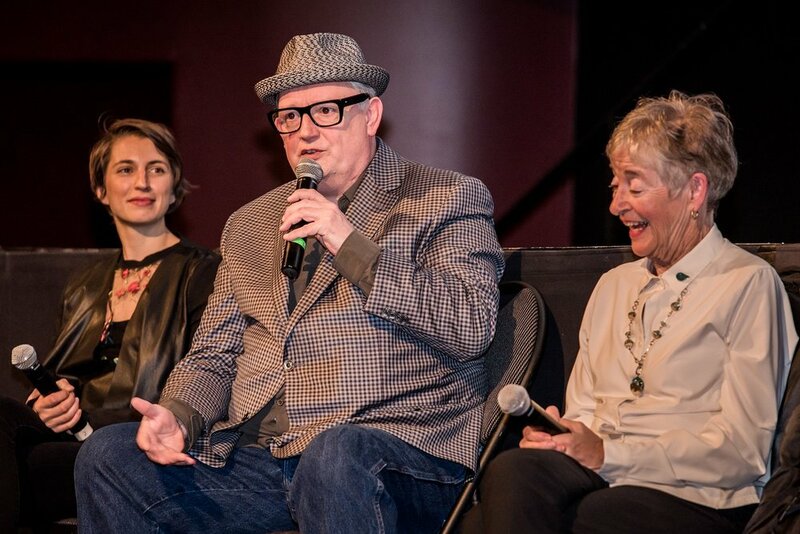 Festival films covered the gamut of water issues, explored some possibilities for action, and celebrated the joy of water in our lives in a myriad of ways. 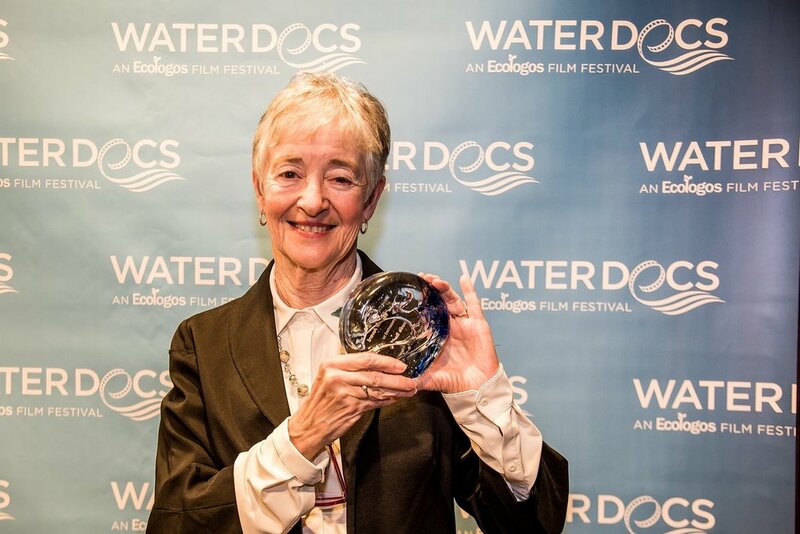 We inaugurated the Water Warrior Award, with Maude Barlow taking the honours for her passionate and tireless work for water over the years. Of note, this year nearly all of our films were submitted, so if you're a filmmaker who is working on a film about water, you can submit for next year's festival starting in July. Keep an eye on our Film Freeway profile for announcements about the 2019 Water Docs Film Festival. Check out some of the trailers of the films we screened this year by clicking the button below and if you missed the festival you can see some of the highlights in the video below. The 2018 Water Docs Film Festival is a wrap, but if you missed it this year, you can always check out some of the highlights here.